Looking for Fun & Wellness packages, Hotels in Europe, vacation rental homes or Rail inclusive packages? Find the perfect package for you. A world of possibilities await for any taste or budget. We realize that your holiday away from home should be extra special, so we have put together some really exciting and affordable packages for your days off. 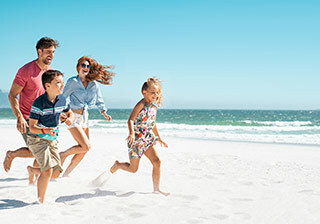 City tours, beach vacations packages in Spain, Greece, Malta and other European countries or contact us for wonderful exotic destinations such as the Maldives and Mauritius, let us offer you our holiday choices. 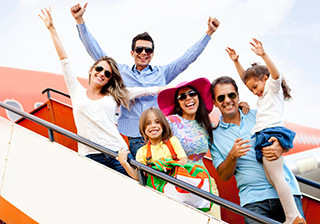 Delta/KLM/Air France/American Airlines and United Airlines/Lufthansa/Air Canada offer the military discounted rate to ID card holders and their immediate family members also from the States to Germany and return also. Tickets must be purchased via our offices in German! Spouse, Children, Step-Children, Parents, Parents-in-law, Siblings, Step-Siblings, and Grandparents. Note: Immediate family members traveling without the sponsor must provide a copy of sponsor's military ID/IP card or orders which show stationed in Europe or NATO Passport along with a statement of sponsorship. If proper documents are not presented at check in; airline reserves the right to charge full fare or deny boarding. Subject to airline eligibility. Experience incredibly scenic waterways and prime docking locations—two great advantages of the boutique-style award-winning ships. Here you'll find people who are genuinely friendly and happy to make you feel welcomed, and with a maximum of 690 guests, staff and crew can quickly learn your name, tastes, and preferences, too. Plus you'll enjoy lots of inclusive amenities that will leave money in your wallet and put a smile on your face. Fun vacations at sea and ashore! 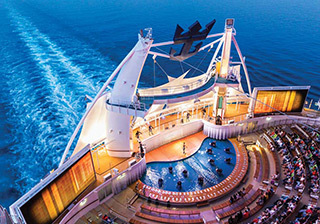 A Carnival cruise features day and nighttime entertainment like stage shows, musical performances, deck parties, casinos and more. (Like waterslides!) 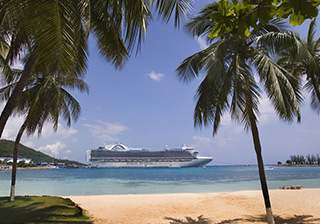 Fun for all, all for fun, feel right at home with comfy staterooms, attentive service, casual and elegant dining, plus a variety of bars and gathering places indoors and out. 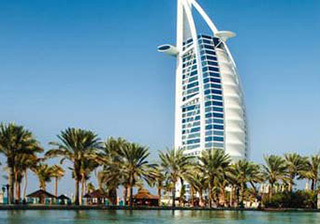 Guests enjoy this unique experience against the backdrop of some of the world's most beautiful seaports. Extraordinary destinations. Culinary excellence. Intuitive service. Luxurious accommodations. And stunning design. That's the Celebrity way. The Celebrity distinction. There's a reason people trust their precious vacation days to Celebrity. The most famous ocean liners in the world. 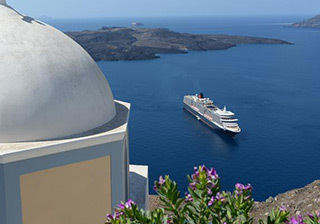 Enjoy worldwide cruise vacations and luxury cruises on the 3 Queens with Cunard Cruise Line. MSC Cruises offers experiences designed to accommodate your every need: exclusive discounts, best price fare, kids sail free* and much more. 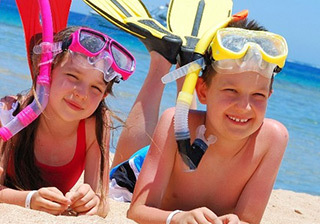 (*Kids 11 and under sail free on select sailings. 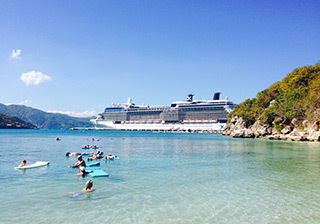 Kids must sail as 3rd/4th guests in a stateroom with two full-fare paying adults). 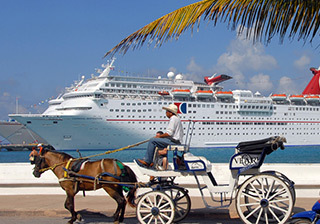 The Geneva-based cruise line is the fourth largest in the world and the largest privately owned line. The brand will effectively double its capacity over the next six years, with its first new ship MSC Meraviglia debuting in May 2017, catering to 4,500 passengers and initially sailing in the Mediterranean complete with Cirque du Soleil entertainment on-board. 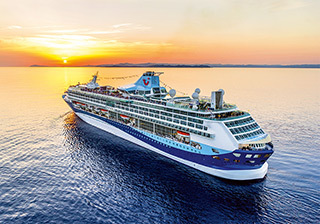 With some of the newest ships in the industry, Norwegian Cruise Line currently boasts the youngest fleet amongst major North American cruise lines. Thanks to a wide range of revolutionary features, in addition to a number of new spaces and interactive experiences meant to excite and inspire, you're guaranteed a holiday like no other. The choices are endless, from invigorating activities to more relaxing pursuits. With Princess you'll discover an incredible array of options that make each day a delightful new adventure. 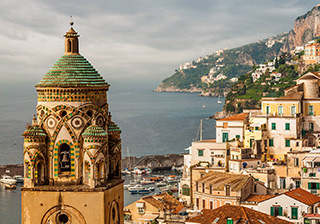 Princess offers traditional onboard activities like culinary demonstrations, bingo, wine tasting and spa services as well as presentations where you learn about the culture, top sites of the ports you will be visiting, plus live entertainment. For the 14th year running, Royal Caribbean International has been recognized as the Best Cruise Line Overall and the Best Cruise Line in the Caribbean by Travel Weekly readers. The unique style of service will enhance every aspect of your cruise. No matter where you are – the pool, the dining room, the spa or your room – get ready to be wowed! 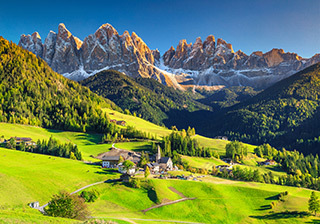 One of the largest tour operators in Germany and Austria. Individual holiday experience of the highest quality, covering a full range of accommodation from hotels to holiday homes and apartments. 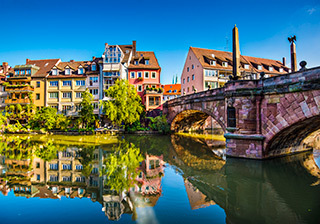 DERTOUR has been regarded as a city trip specialist for many years and offers travel both to Europe's major metropolises as well as to smaller towns and cities of interest. Theme park fans will also find around 40 adventure parks to choose from within the DERTOUR range. 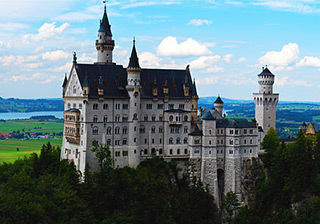 Founded in 1983 and currently ranking 4th place of the tour operators offered in Germany. All Inclusive, Family, Luxury, Adult, Villa, Last Minute Holidays as well as Spa and City Breaks- the TUI group is the world's #1 tourism business. TUI has more than 300 hotels, resorts and clubs with well-known brands such as RUI and Robinson and approximately 214.000 beds in 24 countries. Discover the world of TUI with us.